Apart from trading platforms and brokerage facilities, Forex brokers can offer any number of extra services, starting with basic trading signals and ending with your own personal account manager. Big or small, these extra details can really make the difference between one broker and the next. 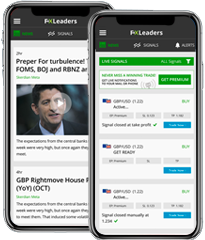 The competition in the cfxl-rowded Forex brokers arena is intense, which is why most brokers offer much more than just brokering services and a trading platform. Depending on your trading style and level of expertise, some of these services and tools you may find superfluous, while others will really affect your daily trading routine. However, in order to know which services you absolutely have to have, you need to know what’s out there. 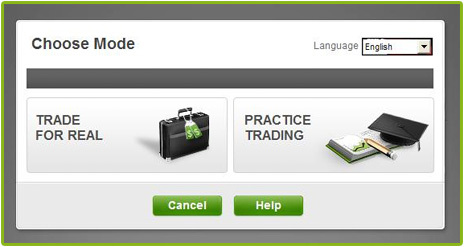 Demo mode - Demo mode, or practice mode as some brokers call it, is one of the most useful broker tools you can find. 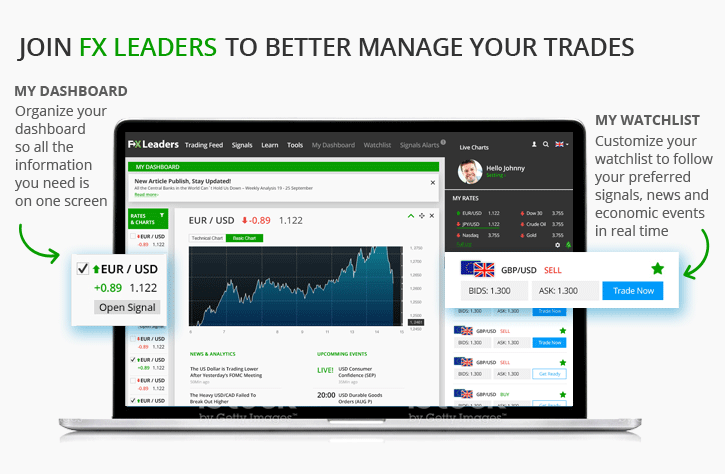 The ability to trade with virtual cash on live market rates makes it possible to practice new trading techniques, discover new instruments, experiment with new trading strategies and put newly acquired trading knowledge to the test. Just make sure that your broker provides real market rates with their demo mode, otherwise your experiments will have no basis in reality. Educational resources – Brokers realize that most people who approach the market don’t have a degree in finance. Therefore, many of them have made the effort to provide educational resources to help you fill in the gaps in your trading knowledge as you go along. Such tools include guides, e-courses, video courses and interactive webinars. For our money, the last two are definitely the most enjoyable and therefore the best ways to learn how to trade. Historical trade simulators – This tool is similar to demo mode, however, instead of enabling you to see how a trade would develop in real time, trade simulators use historical data to chart the progress of a hypothetical trade at a specific moment. This is particularly useful when you’re trying to come up with a technical trading strategy or model. A repository of historical data can help you see if your strategy holds up over time in just minutes, instead of waiting for the live markets to evolve. 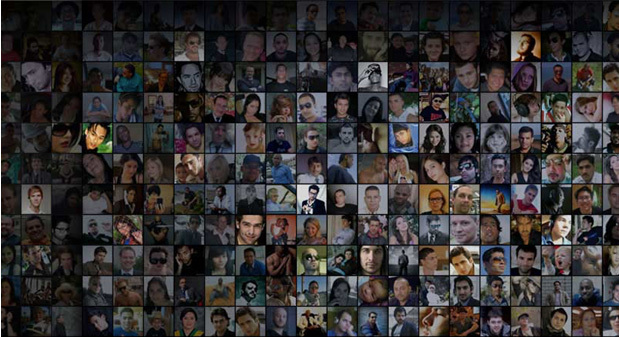 Social trading – The latest trend in the Forex broker world comes directly from the world of social networks in the form of social trading. While the social trading tools offered by brokers are rather varied, they all rely on the idea of sharing trading information among a network of traders. Whether you can use that information simply to get ideas about what others are trading, or implement it by copying traders on the network all depends on the broker. Algorithm trading – Since Forex brokers attract a large cfxl-rowd of amateur investors, many of their clients don’t feel confident enough to trade on their own. This is where algorithm trading comes in. The algorithms or “trading bots” in question have been developed by experts and modeled based on huge amounts of historical data. However, trader beware! As sophisticated as algorithms can be, they are only computer programs and cannot predict the future. So while allocating a small portion of your funds to this kind of trading might be profitable, especially in relatively calm economic waters, it’s never a good idea to put your nest egg in the hands of a program that is not monitored in real-time by a professional analyst. In addition to the above-mentioned tools, Forex brokers can also offer extra services to sweeten their offering. 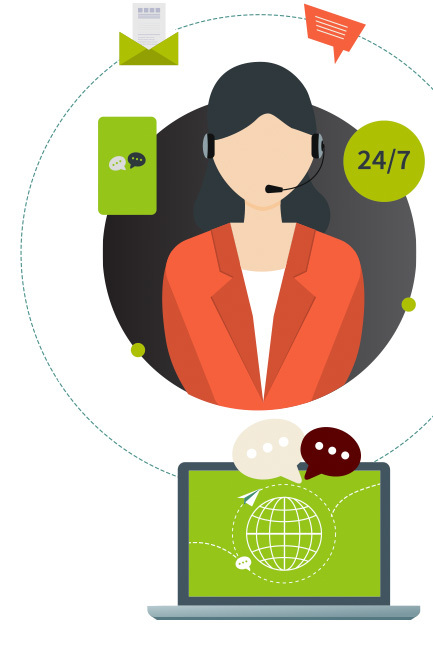 Customer service – just like any service provider, a good broker has a good support team that can help you whenever you require assistance. When choosing a broker, it is essential to make sure that they have customer service representatives who can be reached 24/7 (or 24/5 since the markets are closed on the weekends) and who can assist you in your language. Dealing room access – rather than just a customer support service, some brokers also provide you access to their trading experts, otherwise known as the “dealing room” or the “trading room”. Their advice can be invaluable when it comes to preparing yourself for upcoming market events or developing a medium-long term strategy. Personal Account Managers (PAMs) – one step above the dealing room is your own personal account manager. This is usually an expert analyst who is directly responsible for monitoring your account, making suggestions, giving you timely tips, and generally making sure that you are able to take advantage of opportunities while protecting yourself from risks. Having one of these is definitely a huge leg up for any trader. Daily/weekly market analysis – similarly to the Forex signals service, the daily/weekly market analysis (like those posts on our Forex Blog) is sent out in the form of an email newsletter and contains the main fundamental events for the day/week together with analysis on how they’re expected to affect the market. 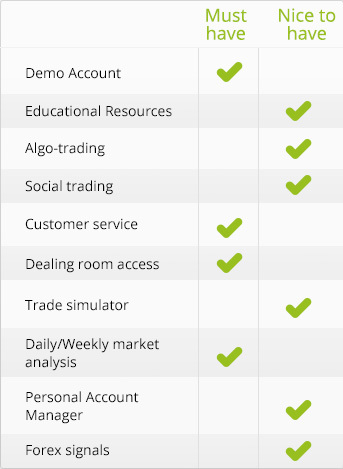 The broker makes many of the above tools and services available only to Premium account holders, i.e. traders with accounts of a certain size, usually at least $10,000 and over. Fast withdrawals – brokers usually have a waiting period for processing a withdrawal transaction that is waved for premium accounts. Special credit cards issued by the broker or the broker’s partners – making the withdrawal and deposit process even faster. Spread rebate programs – spread rebates consist of monthly paybacks of some percentage of the amount you’ve paid the broker in spreads. This percentage can range from 10% to 100% so look for the highest percentage you can get, as over time this can amount to significant amounts of cash. 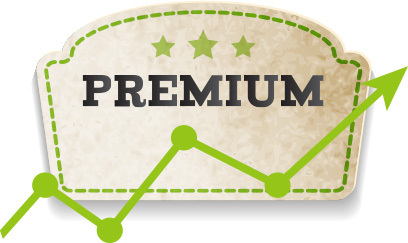 The list of perks continues, so it’s definitely worth considering a premium account, especially if you have the investment capital. Don’t assume that the broker has good customer service just because it says so on their website. It’s a good idea to call the support number before opening account to see the kind of service you can look forward to. And while you’re at it, ask about how you can get in touch with the broker’s trading desk, so you can have direct access to their trading analysts. Want to get right to it? Here is our pick of broker services and tools that we think are absolutely essential, vs. tools and services that are a welcome addition, but not a crucial one.